Price include site passes on booking a £100 non refundable deposit due within 7 days of booking this will be deducted off your full balance full payment due 9 week before your holidays, also a £75 bond to be paid before your holiday starts and will be refunded when inspected. 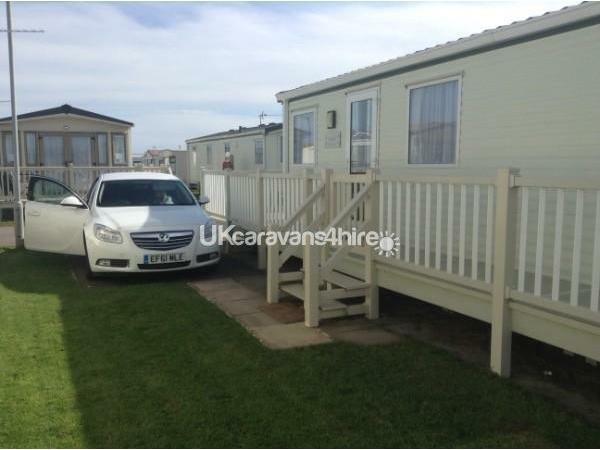 3 bedroomed caravan for hire on Coastfield Holiday Village. The caravan has a double bedroom with side lights, wardrobe, fitted units and a TV/DVD in with central heating and double glazing. Also 2 rooms with twin beds again with wardrobes, fitted units, side lights and central heating in. Lounge has a large seating area with a gas fire, central heating, a large free view television and DVD player. Kitchen as all top make mod cons including kettle, toaster, microwave etc, it also has a big fridge freezer, under unit lighting, a breakfast seating area, extractor fan ect. Also has a large shower room with fitted units and a toilet, extracted fan as well, a extra toilet room. Outside there is a massive verandah with table and chairs on so you get the sun. Within summer it can get really hot sat there, there is also a Tarmac parking spot at the side of the van. Additional Info: 500 seater showbar with top entertainment not to be missed. Alan's van was immaculate as ever would still recommend any one to hire it. Thank you Alan for a lovely holiday. Have just stayed in this van after a 2 year gap Alan's customer service is still exemplary and the van still as inviting as you walk through the door would still recommend this van and owner for anyone wanting to hire a van. 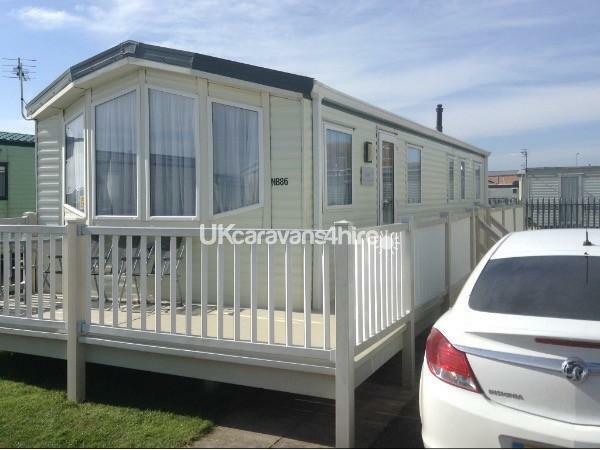 This was the 2nd year we have used Alan`s caravan his customer service is exemplary cannot do enough to accommodate you. The van is fantastic all other vans we have had my husband has walked in and immediately cleaned all crockery and utensils this van you walk in and do nothing the van smells and is very clean you just make yourself at home. Recommend renting this van to anyone it is sited right within walking distance of everything you need.